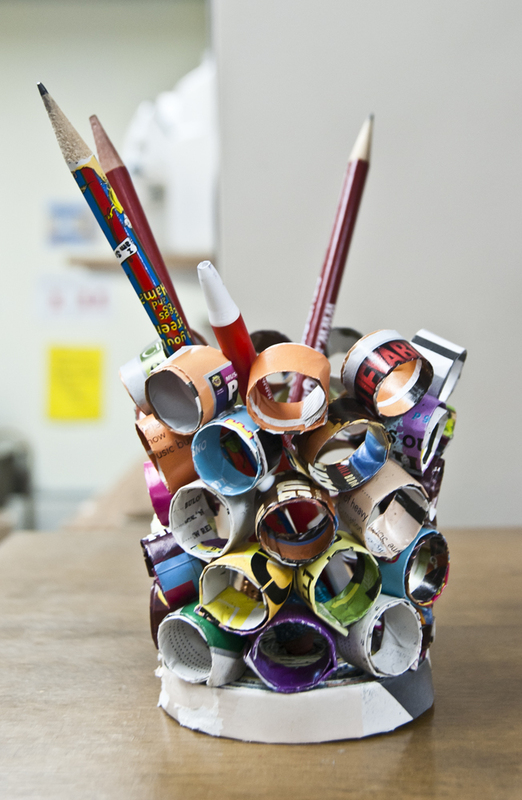 This week we are making a pencil cup from upcycled magazines. You know you have some old magazines sitting around that you just don’t want to part with, but KNOW that you won’t be reading again. Make something useful from them! Just google magazine crafts and you will be amazed at how many great craft tutorials there are out there to deal with those treasured mags! 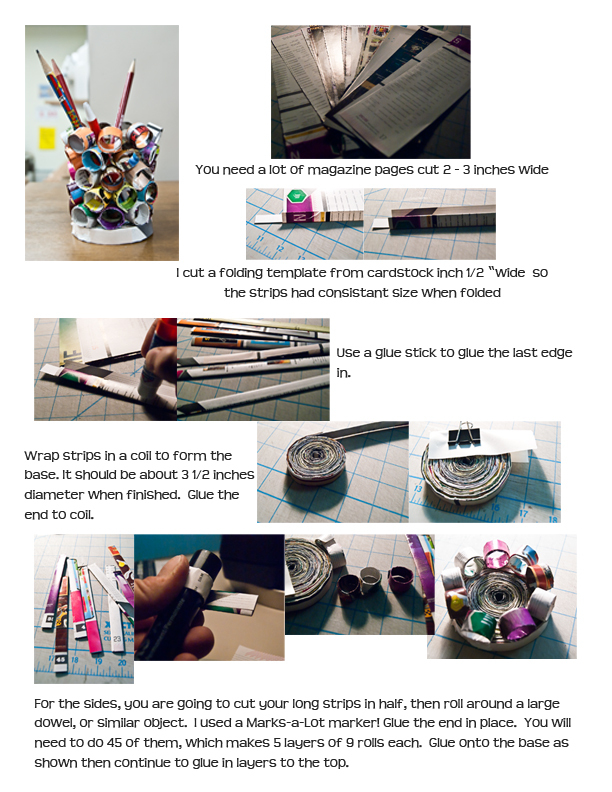 And again, in the interest of time, I made a collage of the instructions. magazine pages cut into strips 2 – 3″ wide.